Matthew Glaetzer again set the timing board on fire as he scorched the boards in the 1km time trial at the Anna Meares Velodrome in Brisbane, to post a time of 59.759 seconds, lowering his existing sea level record by more than two tenths of a second. The ride came on the opening day of the 2018 Australian Track National Championships and less than three months after setting the fastest ever sea level time in the men's 1km time trial of 59.970 seconds at the Manchester round of the 2017/18 Tissot UCI Track World Cup. "Records are meant to be broken, especially when they are yours, you just want to keep bettering yourself," an elated Glaetzer said. Glaetzer the only rider to post a sub one minute kilo at sea level blasted out of the start gate covering the opening lap of the track in 18.891 seconds, more than a tenth faster than his time in Manchester. From there the 25-year-old quickly settled in to a rhythm covering the next two laps in 12.987 and 13.525 seconds respectively. Battling all the way to the line in the final 250 metres his lap time of 14.256 seconds, over a tenth slower than his ride in Manchester stopping the clock in 59.759 seconds, one of the top 20 fastest times in history, and one of only two (both held by Glaetzer) not at altitude. "I was a little bit pushed to break the record again today, I was a little a bit tired heading in, but conditions are fast here. "It shows it's not a perfect day, but it's still world record kind of conditions. I just held on and I'm stoked with that time." Making the feat even more remarkable was the fast Glaetzer had ridden qualifying in the team sprint earlier in the session. 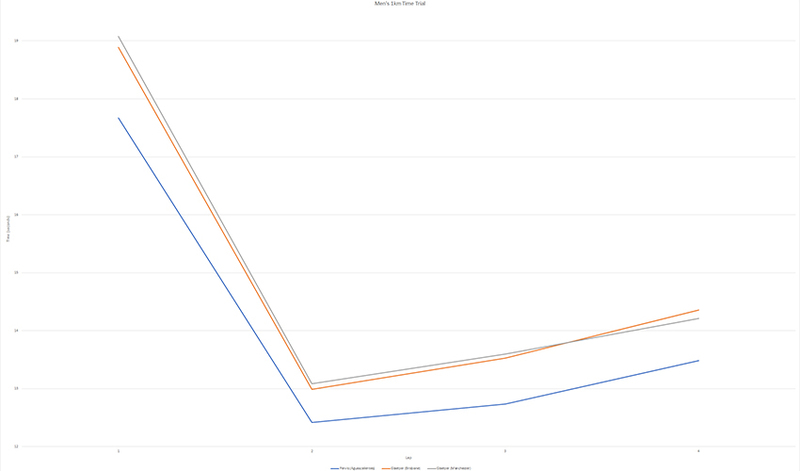 Silver went to Patrick Constable in 1min 1.812secs marginally faster than rising star and former junior world championship medallist Cameron Scott in 1min 1.820secs. 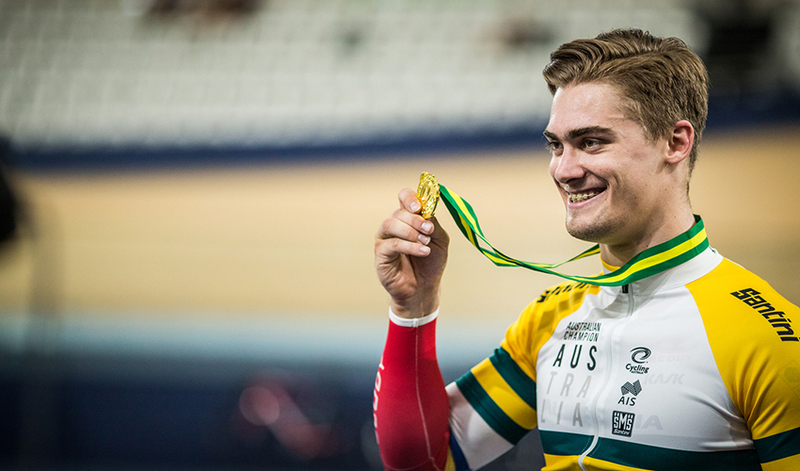 With World Cup gold and the Australian title to his name Glaetzer will now turn his attention in the kilo to the 2018 Gold Coast Commonwealth Games with an eye on adding to his keirin success from four years ago.